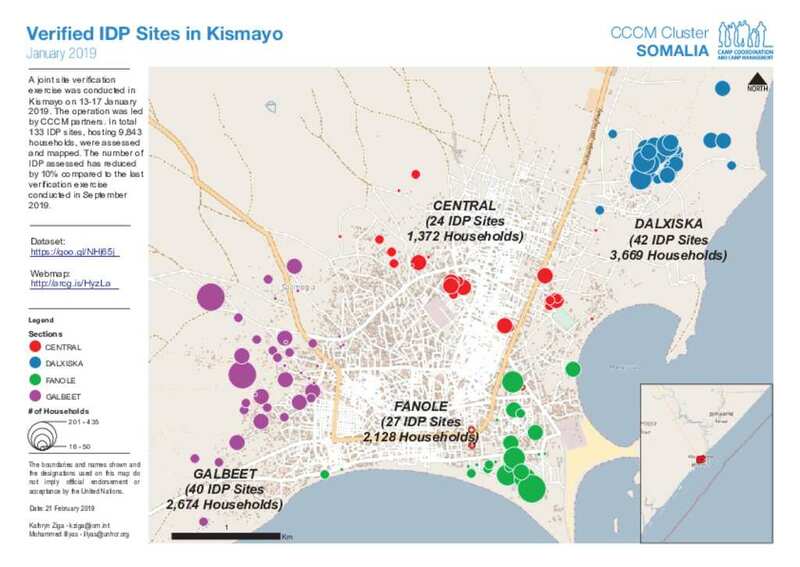 A joint site verification exercise was conducted in Kismayo on 13-17 January 2019. The operation was led by CCCM partners. In total 133 IDP sites, hosting 9,843 households, were assessed and mapped. The number of IDP assessed has reduced by 10% compared to the last verification exercise conducted in September 2019.